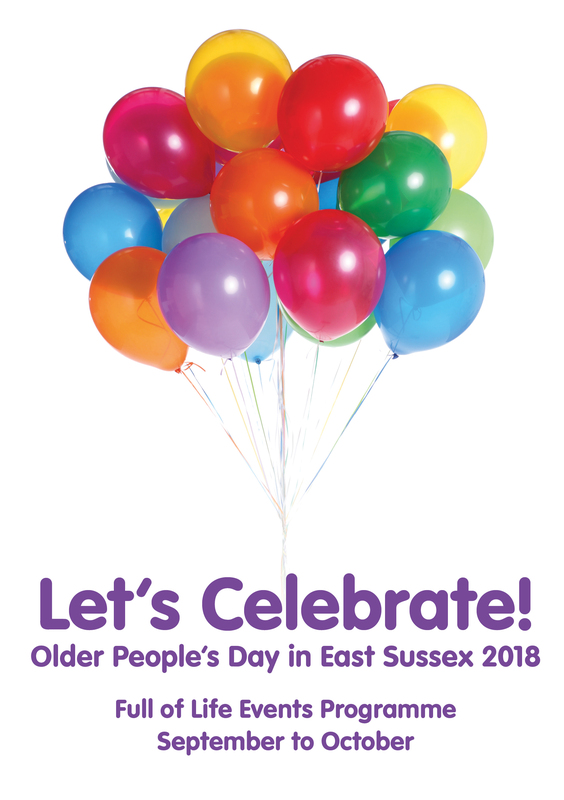 ANOTHER packed programme is in prospect as events to mark this year’s Older People’s Day return to East Sussex. Every year, to coincide with the international celebration on October 1 of the positive role older people play in improving communities and the lives of local people, activities are held across the county during September and October. This year’s programme features more than 100 events including health walks, film screenings, lifestyle and information events, coffee mornings, history talks, arts and crafts and day trips. Meanwhile, leisure centres across the county are offering older people the chance to try a variety of sports including aqua aerobics, Pilates, walking football and netball and badminton. 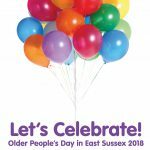 The programme is supported by East Sussex County Council, East Sussex Seniors’ Association and the NHS, in partnership with leisure centres, local councils, charities, community and voluntary organisations. Kate Davies, from East Sussex Seniors’ Association, said: “Once again there is a really varied programme of events and activities taking place across the county – many of which are free to try. Events taking place this year include a ‘Good Life Show’ featuring a variety of stalls in Eastbourne, Health and wellbeing Day including taster sessions of yoga and Tai Chi in Hastings, ‘Saturday Social’ in Uckfield and various activities at The Keep archive centre, in Moulsecoomb. People can download the full programme online or pick up a copy from local libraries, leisure centres or council offices, or through community and voluntary organisations. The programme includes details of how to book places and costs where applicable, information on how to get to the venue and details of any catering provided. Various events at The Keep archive centre in Moulsecoomb, including an open day and guided tour of the building; ‘Autumn Glory’ Meridian Mature Citizens Forum coach trip to Battle leaving from Newhaven and Peacehaven; Quiz sessions using Skype technology in Lewes and Seaford; Q&A session on planning for care in later life in Peacehaven and a Memory Choir event in Lewes. Good Life Show at The View Hotel with stalls covering health, hobbies, legal issues, future care, leisure and learning; Sport Eastbourne Older People’s Celebration at Shinewater Sports and Community Centre, with sports including walking football and netball, badminton and table tennis and a double matinee film screening of My Fair Lady and What We Did On Our Holiday at The Venton Centre. Health and wellbeing day at the Marina Pavilion, including taster sessions in yoga, tai chi and pilates; Celebratory Cabaret at St John the Evangelist Hall and an LGBTQ Healthy Living Club celebration event at The Robsack Centre. A Trip Down Memory Lane event of reminiscing, storytelling and poetry at Bexhill Caring Community; Arts and Crafts activities at Saxonwood Care Home, Battle; Rye Healthy Living Club celebration event; Rother Seniors’ Forum trip to see the Killer Queen show in Brighton and; a tour of the De La Warr Pavilion. Saturday Social event at the Victoria Pavilion, in Uckfield; film screening of Singing In The Rain at Ninfield Memorial Hall; Quiz with afternoon tea at Woodlands Care Home, Crowborough; Songs and afternoon tea at Heathfield Community Centre and Polegate Healthy Living Club celebration at Polegate Community Centre. This entry was posted in Adult Social Care on August 13, 2018 by timf.